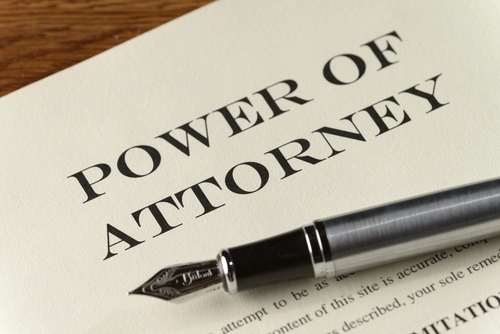 A power of attorney (POA) for a real estate closing is permissible if not all parties can make it to the settlement table, but is not to be used as a matter of convenience. A POA is written authorization to act in a legal capacity on another’s behalf, in certain circumstances, which are laid out in the document. The person authorizing the other to act is referred to as the principal, while the one authorized to act is the agent or attorney-in-fact. Normally, buyers and sellers meet at the settlement table for closing, but there are several instances where someone with power of attorney sits in for one of the interested parties. A POA should only sit in if there is no other reasonable option, such as rescheduling the closing or sending someone the settlement documents to sign in front of a notary. We strongly recommended that a real estate agent NEVER act in the capacity to sign for a client through the use of a POA as it is a potential conflict of interest. In any real estate transaction where you think a POA might be used, ALWAYS consult with the title company handling the settlement for their recommendation on using or drafting the document. For a purchaser, the mortgage lender must give their approval on both the use of the POA and the content of the document. In Maryland, the state assembly passed legislation which took effect on October 1, 2010 regarding the use of a POA. This new law governs both General and Limited POA’s and makes it more difficult to use such a document in real estate transactions, especially as a last-minute alternative to someone attending the closing. The new MD statutory form for a Limited POA is now seven pages long and must be signed by two witnesses in each other’s presence and notarized (the notary may be one of the witnesses). A shorter version may be used but must comply with the new statutory language and the signing requirements. Because of the additional legal hoops to jump through, it is best to avoid a POA at your real estate settlement. If you believe it is unavoidable, contact us right away to get the process started.